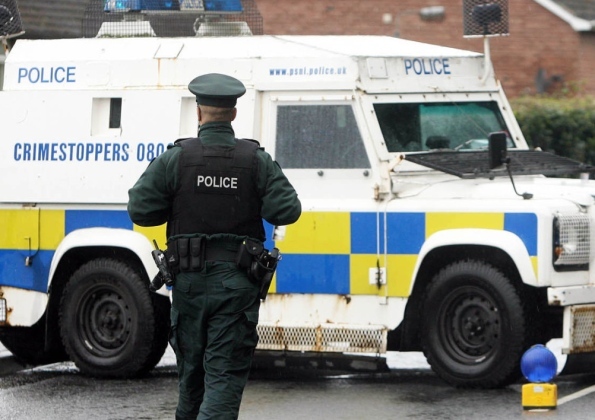 Crime scene cleaning within Northern Ireland is getting more and more frequent. A crime committed inside your home or property is very distressful, and is very hard to accept, especially if it happens to any family member or friend. But while you cannot turn back time you are still responsible for organizing the cleaning of the crime scene regardless of whether the crime scene cleaning needs to be done in Northern Ireland or in the Republic. All the contaminated items should be removed and the area should be cleaned properly and restored back to its original nonhazardous state even if an undiscovered death is found at the property! should you attempt to do a crime scene cleaning job in northern ireland? Although you might think that you can do this yourself, you don’t have the proper training and experience. Besides cooperating with the law enforcement, you need to hire a reputable crime scene cleaning service company in Northern Ireland. Nobody wants to be a victim of a crime especially if the crime is violent in nature. We don’t want to be burgled or have a friend or relative burgled killed or injured as a victim of a crime. Yet these sad things do happen and when they do they usually come with a heavy burden of responsibilities on the victims. 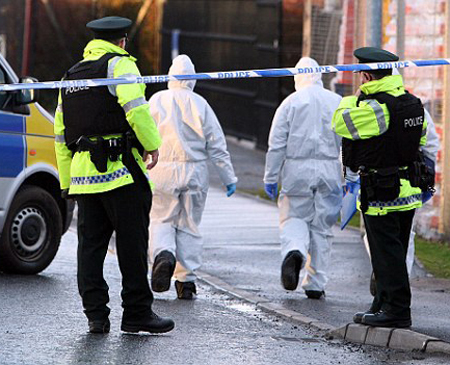 how we clean crime scenes in Northern Ireland? When a crime happens, the pain and trauma of those who survive are usually very hard to bear. 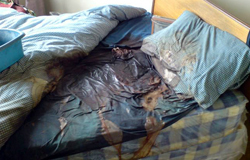 After the crime scene has been released by the police after preliminary scene investigations, it becomes necessary for the effected property to be cleaned and all traces of the crime erased. Friends and families of the victims will usually find it impossible to undertake the cleaning of a crime scene due to the emotional attachment, especially if a loved one has been killed at the crime scene! Besides, the trauma they will have to subject themselves to, they lack the necessary training and tools to do the crime scene cleaning job properly. To do this effectively a professional crime scene cleaning firm in Northern Ireland should be hired. 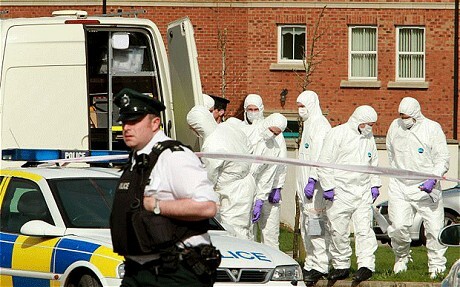 Has phoenix received adequate training for crime scene cleaning jobs in Northern Ireland? 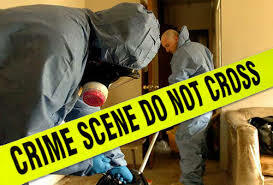 We, at Phoenix Extreme Cleaning understand the pain the family feels when a crime happens inside their home. 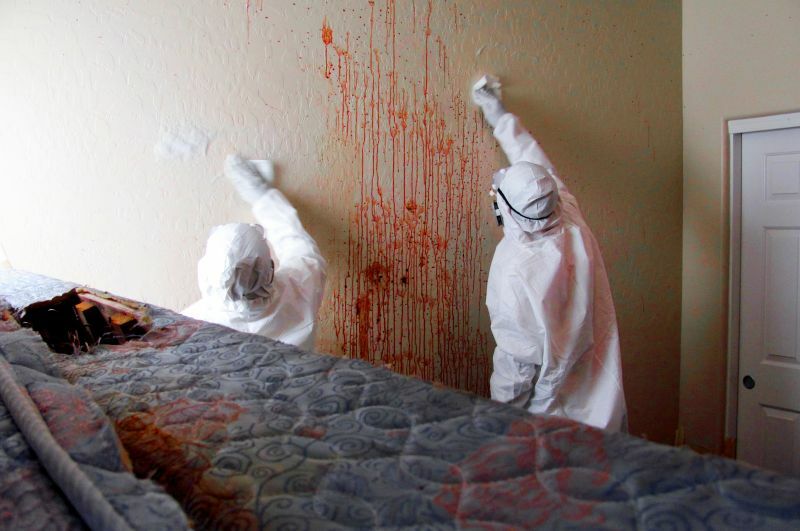 Our professional crime scene cleaners attended and passed the rigid training at The National Academy of Crime Scene Cleaners (NACSC), and have dealt with different situations for more than 15 years. Crime scene cleaning services in Northern Ireland are in high demand, we will patiently discuss to you all the details of our activities and will make sure that you clearly understand everything before we proceed. We will also respect your privacy and will not reveal anything publicly! What's involved at a crime scene cleaning job? Crime scene cleaning in Northern Ireland involves more than just regular cleaning procedures which is why not all cleaning companies in Northern Ireland are able to offer crime scene cleaning services. The task involves having the right training and tools. The range of services offered by a crime scene cleaning expert will usually also include the cleaning of hazardous sites and areas, houses and sites that have become contaminated due to misuse, disaster, trauma or crime. What do the police and Garda do at the crime scene? As authorities arrive at the crime scene, they will check the victim, look for evidence, and ask questions. When this is done the police will then organise the removal of the body and release the crime scene, you are now responsible for the crime scene cleanup. Crime scenes can be literally very messy, depending on the magnitude of the situation. Human blood may have been scattered on the floor and walls, ceiling and even under the carpet. Cleaning a trauma scene is an unimaginable task for you even if the victim survived the attack. The foul odor can also be intolerable, especially if the body has not been attended to immediately. 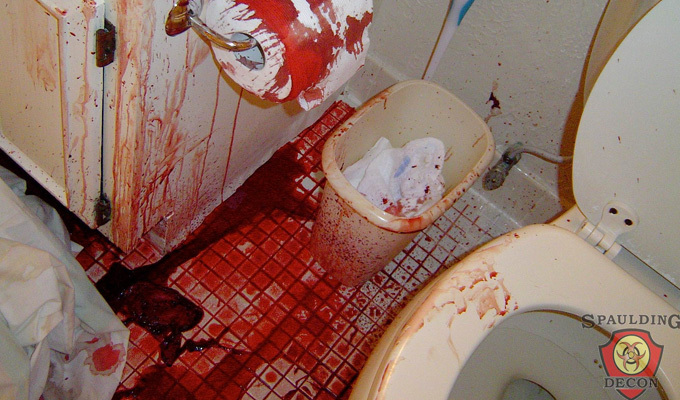 In short, a crime scene cleaning job is definitely not for people with a weak stomach. what viruses are present at a crime scene? But more than that, a crime scene cleaning task in Northern Ireland can be extremely hazardous because airborne bacteria could be present everywhere. Any small mistake can cause serious illnesses such as H1N1 (Swine flu), Hepatitis B, Hepatitis C, and HIV plus 100 other nasty viruses which can be transferred via body fluids. The foul odor cannot be removed by a simple mop and bucket or ordinary soap or disinfectant, so don’t even think about trying them. Whether the victim died or not, there will always be potential health hazards. In either case, you should seek assistance from a highly-trained and experienced team of professional crime scene cleaners. 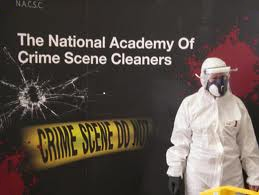 who are the National academy of crime scene cleaners? Our name is listed on the National Academy of Crime Scene Cleaners directory, which means that our customers can freely post their comments on how we have served them in the past. Since 1998 when we started, we are proud to say that we have not yet encountered any major complaints. This is probably because of our continuous commitment to provide the highest quality service available for a very reasonable price. But while we care about our customers health concerns, we are also concerned with our workers. We make sure that they wear the appropriate protective equipment at all times. Phoenix provides a first class crime scene cleaning service within: Rathmines, Rush, Santry, Shankill, Newtownabbey, Rathfarnham, Derry, Belfast Southwest to name just a few areas within Ireland. And because we understand the urgency of your needs, you can call us any time on ROI: +353 (0) 8347 01145 - UK: +44 (0) 78453 77429 or Freephone: 0800 234 3103. Our line is open between 8.00am and 8.00pm, 7 days a week, 365 days a year. You can also contact us here outside these hours.